Usually ocean and air freight services are used for international transportation of goods, but when it comes to domestic transportation ocean freight serves as one of the most reliable options. The three categories of goods that are transported through this mode are: Freight shipment (i.e. heavy cargo), household goods, and business goods. If you want to know more about domestic ocean freight services, then read ahead! If you compare ocean freight services with air freight services, then you will find that the former option is comparatively cost effective, which makes it suitable for domestic transportation of goods. Large, heavy cargo can be easily transported through ocean, because space is not an issue when it comes to ship and boats. If your cargo involves shipment of heavy items like tools or machinery then this is the most suitable option for you! Between the port and destination, the transportable goods are delivered through trucks. This ensures that during the journey your shipment will be safe and sound, and no one will interfere with it once it is packed. It is a very practical way of transporting goods that is eco-friendly as well i.e. it leaves small carbon footprint. The biggest advantage of all is that it is the most convenient method of delivering valuable goods. Cost – This is one of the major factors that govern every aspect of your shipment process. Take a look at one of two ocean freight services; compare their quality, benefits and respective cost. This will help you decide which service you should select. Some companies offer package deals with respect to total weight. If you can find one that offers a good deal, then go for it! Company Reputation – You wouldn’t want to hand over your valuable goods to an untrustworthy company; therefore, make sure they have a good reputation in the market. Logon to their site and read the customer reviews, this will reveal their quality of service. 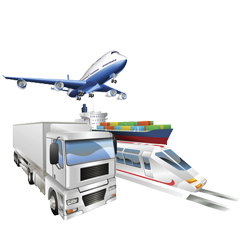 Type Of Goods – Not every company allows transportation of all types of goods. Call them or send an e-mail to inquire which types of goods they allow for shipping. Moreover, find out about the weight requirement as well. Weight and quantity of the shippedx goods affect the cost as well. Therefore, it’s better to find out all the related technical details beforehand so you can prepare accordingly. Extra Cost – Urgent delivery and transportation of perishable items costs more than regular ones. You should check the website of the respective company to find out if they offer these services or not. If they do, then it will be easier for you to make your decision!